Two men allegedly used fraudulent credit cards to steal about $12,000 worth of merchandise from a San Luis Obispo home appliance store on Monday. 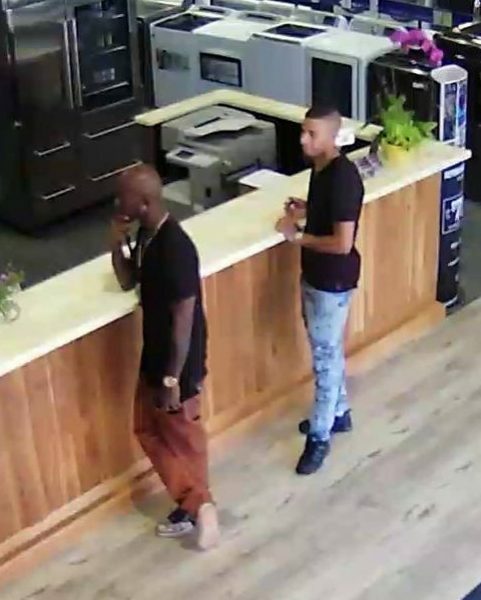 The owners of Idler’s Home, located at 122 Cross Street, are asking for help from the public in identifying the two suspects. 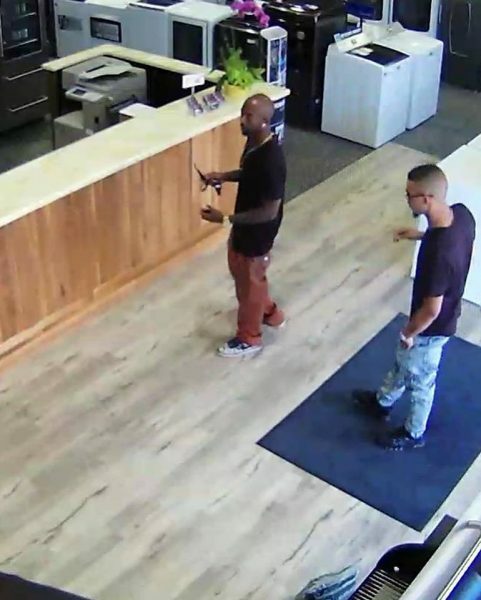 Surveillance cameras captured footage of the two men while they were in the appliance store. KSBY reports the suspects entered the business on Monday afternoon and provided IDs with the credit cards while purchasing appliances, furniture and other items. Then the men loaded the goods in a U-Haul and drove away. Idler’s Home was later informed the credit cards were fraudulent and that some of the identification information provided was false. San Luis Obispo police are investigating the theft. If the store swiped the card thru processing terminal and card was authorized, I would think the card issuer is out the money not store.